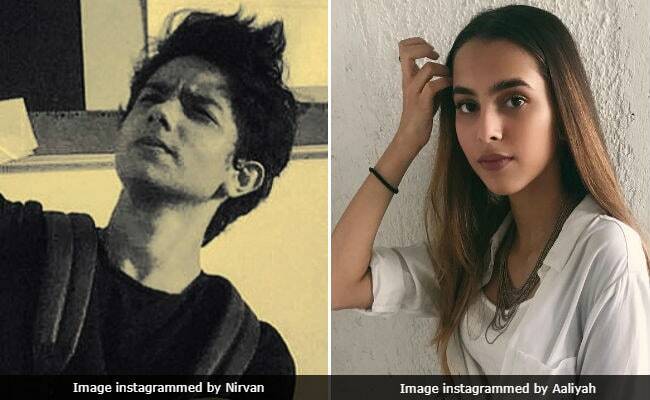 Sohail Khan's son Nirvan's photo-editing skills caught the attention of filmmaker Anurag Kashyap's daughter Aaliyah, who had something to write about a picture Nirvan recently shared on Instagram. Anurag Kashyap's teenager has two unverified Instagram accounts one of which is private while the other is available for public viewing (much like Mira Rajput, who recently started a public account on the photo-sharing app while retaining her previous private account). In this case, Aaliyah used her private account to comment to Nirvan's picture: "Your picture editing makes me want to kill myself." Nirvan's very gentleman-like reply was: "Next time you edit it for me Aaliyah Kashyap." Since we can access Aaliyah's public Instagram account (which Anurag Kashyap has tagged in many of his pictures), here's a sample of Aaliyah's picture editing skills - she is, after all, the daughter of a critically acclaimed filmmaker, who has made movies such as the Gangs of Wasseypur series, Gulaal and Raman Raghav 2.0. Nirvan's cousins are Arhaan (son of Arbaaz Khan and Malaika Arora), Alizeh and Ayaan Agnihotri (children of Alvira and Atul Agnihotri) and Ahil Khan Sharma (son of Arpita and Aayush Sharma). Nirvan is superstar Salman Khan's nephew.